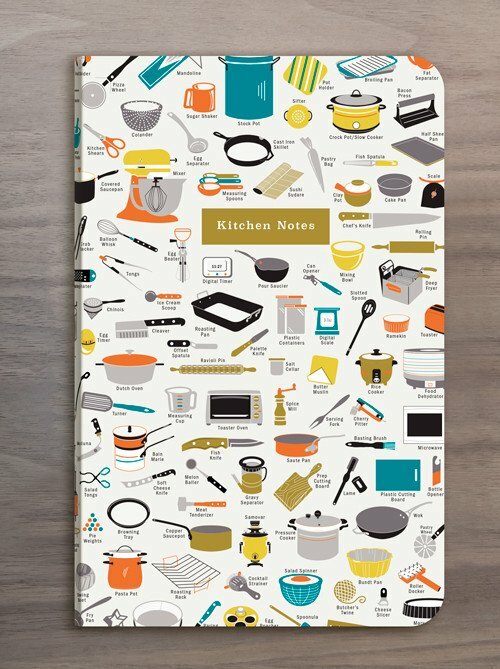 Copious Kitchenware Notebook by Pop Chart Lab. 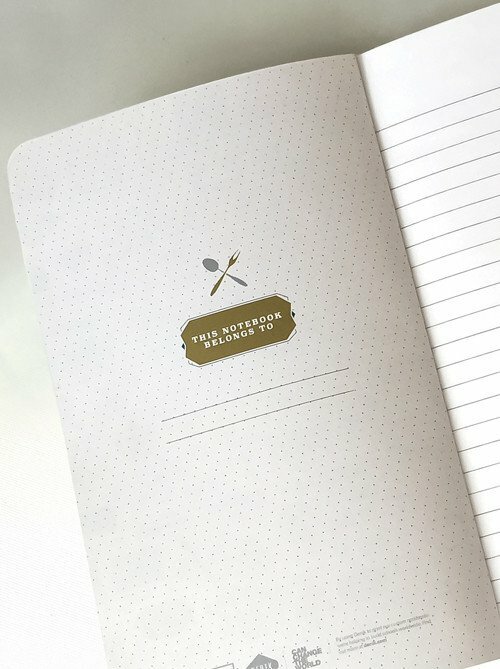 Covered with hand-drawn illustrations of a colossal collection of culinary contraptions, this 150-page ruled notebook is perfect for recording recipes, calculating conversions, or whatever suits your tastes. 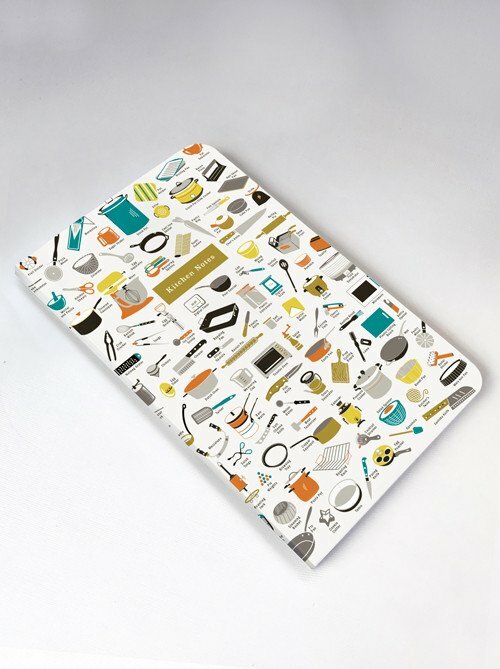 It features a durable, water-resistant, wraparound cover as well as a top-secret binding that stands up to both hot and cold—meaning it easily can hold up to the heat of the kitchen.